Often time, we try to improve the look of our skin by using remedies that are purely topical. It is imperative to remember that the surface needs to be nourished from within. Therefore, your food choices are going to play a vital role in determining what your skin will look like. Some foods can make or break it for you, so let me tell you about some of the foods that have unusual properties. These foods will make your skin glow and brighten it up from the inside. Moreover, the results that you will achieve from this kind of treatment will last longer than any other remedy. So let’s start exploring these fantastic food options that can cure your skin. Quinoa often stays on the top of the list no matter what the purpose of my food-list is, and I believe it happens for all the right reasons. This grain is known to have been packed with proteins, and that is precisely why so many people are opting to switch o this grain. In many health-conscious kitchens, it has already become a staple instead of rice or other similar grains. 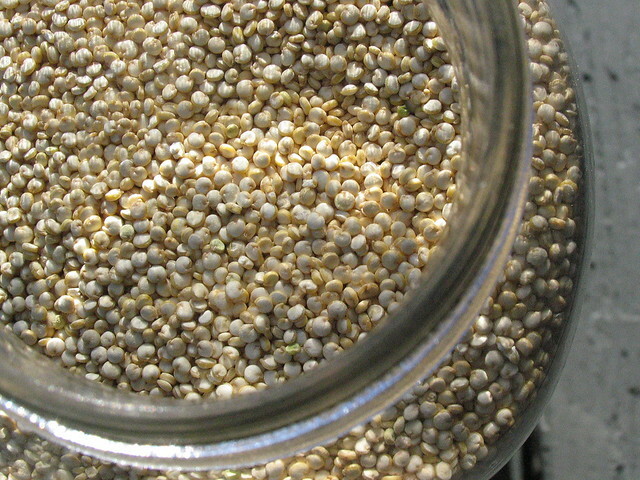 The component of quinoa that is good for the skin, however, is riboflavin. High levels of riboflavin help with maintaining the health of the skin. Just try applying quinoa topically, and you will instantly witness a decrease in the fine lines and wrinkles of your face. Goldfaden says that: “Riboflavin boosts elasticity and increases the production of connective tissue, which can help tone the skin.” I am sure you will fall in love with the results. Apart from that consuming quinoa is good for health and it helps with bloating, this will improve the look of your skin. You probably didn’t know this already, but your favorite seeds that are sprinkled in your smoothie are the same that are used by your favorite skincare products line to make your skin look better. Chia seeds are a significant source of omega-3 fatty acids, and they can hydrate the skin perfectly. This quality of Chia seeds maintains the glow of the skin. These seeds are also packed with components that have anti-inflammatory properties which can help deal with the acne. So it is safe to say that Chia seeds are perfect for acne-prone skin. This must’ve come off as a surprise, I know. But Kale is also really beneficial for your skin. This green, leafy vegetable has a lot of nutrients and minerals packed in it. You can consider this vegetable an instant detoxify for your face. It helps with opening up your pores and clearing out the dirt that is tuck in them. This treatment also helps with preventing dust from getting into your skin. It is beneficial in fighting against free radical damage since it has a lot of Vitamin A in it. It also has a lot of Vitamin K; it helps minimize the shadows and puffiness under the eyes. You should just add this to your diet and make it a part of your daily routine. No, granola and fruits are not the only way you can enjoy yogurt. Yogurt is delicious food, and one can have it with many foods however it is also great for topical use. Yogurt has a lot of lactic acid in it. Therefore it helps with clearing up the skin and helps deal with hyper-pigmentation. It is a great exfoliate, and it helps remove the dead skin very efficiently. Rich in protein, this great food helps brighten up the skin and maintain its glow. The protein is also crucial for the collagen present in the surface of the skin. Collagens are the proteins that hold the tissues of your skin together. As we age, collagen in our skin decreases as we age which makes the skin sag. So, yogurt is your life savior! Did you know that coffee scrubs help with cellulite? It is one of my favorite ingredients for body scrubs, and some top-notch organic cosmetics products line make coffee body scrub since it is really good for the skin. But it is good as a facial scrub as well. It can soften the skin lines, and it helps clean the pores thoroughly. Drinking coffee in moderate amount, preferably with skimmed milk or a simple black brew is also good for your skin. If you use coffee as a scrub, it provides you with two different kinds of exfoliation. For example, the motion of your hands with the paste will serve as mechanical exfoliation whereas the acid present in the coffee would serve as chemical exfoliation. Ganoderma coffee is also perfect for your skin, hair, and nails, so you should give it a try as well. In a nutshell, you don’t have to rely entirely on local unnatural products to make yourself look prettier, opt for healthier options. Have a great weekend!